Great chair. The grey color is perfect! Quality make of the chair. Would highly recommend. This comfortable and well-sized counter stool from our Ikon collection is a mix of urban and contemporary design. 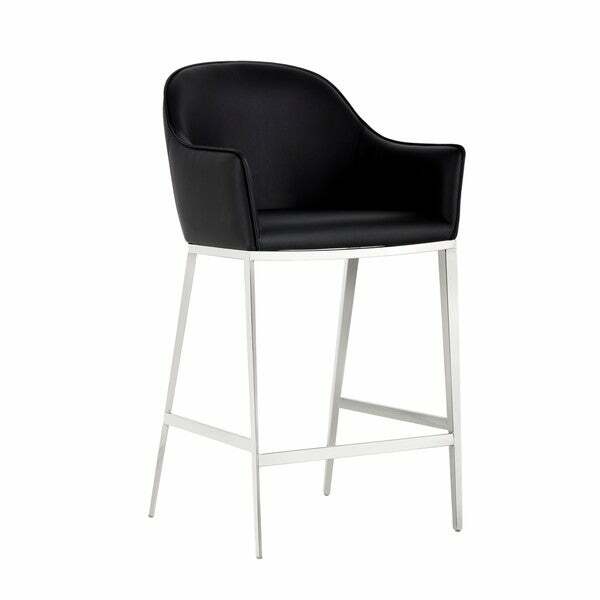 Stocked in black, white and grey faux leather with polished steel legs and a footrest. "Do the legs have protective buttons for wood floors on them? "